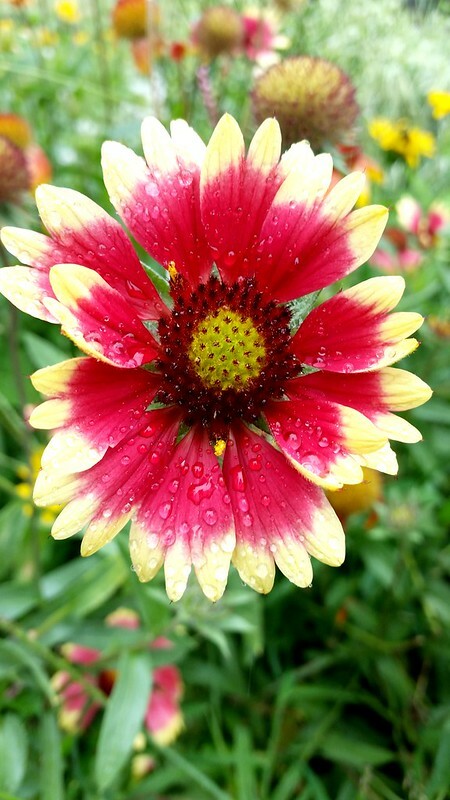 A flower with a yellow and reddish center and then red and yellow pedals. Out again on another walk, I came across these gorgeous flowers. They remind me of fire balls with their mixture of yellows and reds. In the last 6-8 years, I have definitely become one who stops to smell (or at least look at or snap a photo of) the flowers. But I'm amazed at how much more I'm noticing front yard landscapes and their choices of flowers, plants, herbs, and crops. I'm also not too surprised how my own neighborhood which I walk/run through quite regularly continues to surprise me with gems like this.